/ How to cover a generator once it is outside running? It is appropriate, safe, and advisable to run the generator outside, several meters away from the household. It should never be installed within a few feet away from the doors, windows, and ducts that lead to their homes for danger of poisonous carbon monoxide seeping inside. 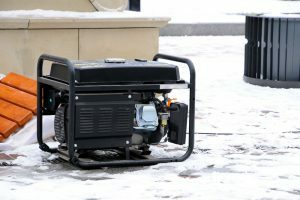 The same thing goes for not running a generator in a garage, patio, or storage area despite of fear that the generator may face harsh weather conditions outside. 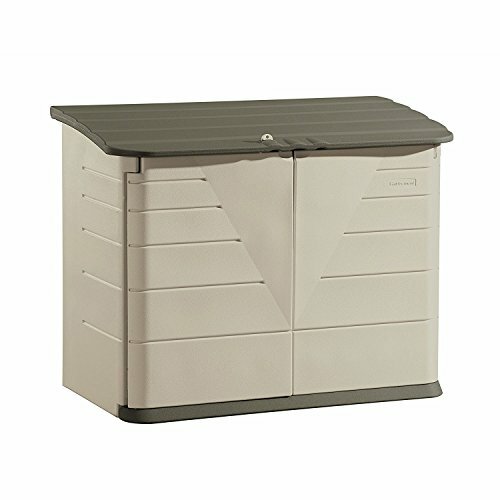 What are the types of generator covers? 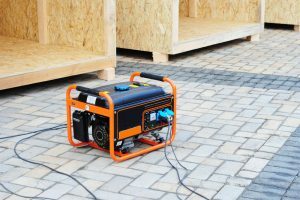 What are the guidelines on installing outdoor generators? How do you keep the generator running outside, then? The answer is simple, use a generator cover. 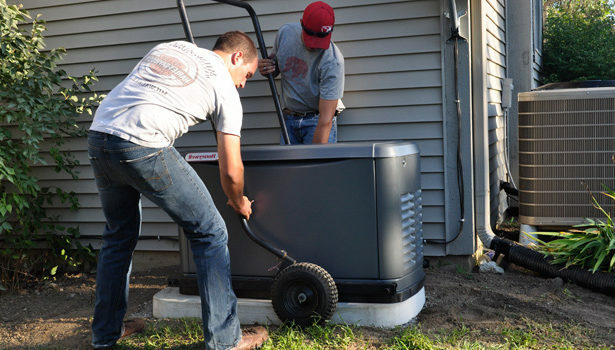 ​No more worrying about the condition of your generator while outside as the cover will secure it. 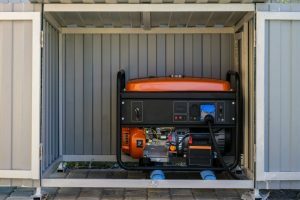 There are a lot of types of generator covers; the right one to pick depends you: how often you will use your generator outdoors, type of material you prefer, and dollars you are willing to shed off. 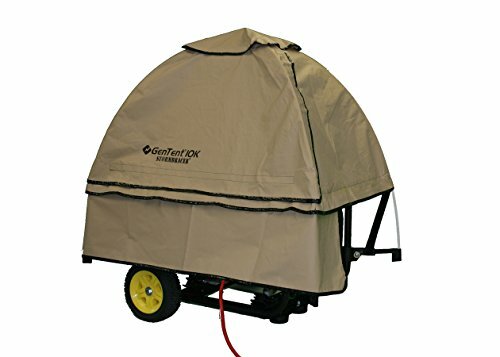 The easiest generator cover to use when all you worry about are rain, snow, wind, and heat is something that can basically, protect it from those four – A tent. 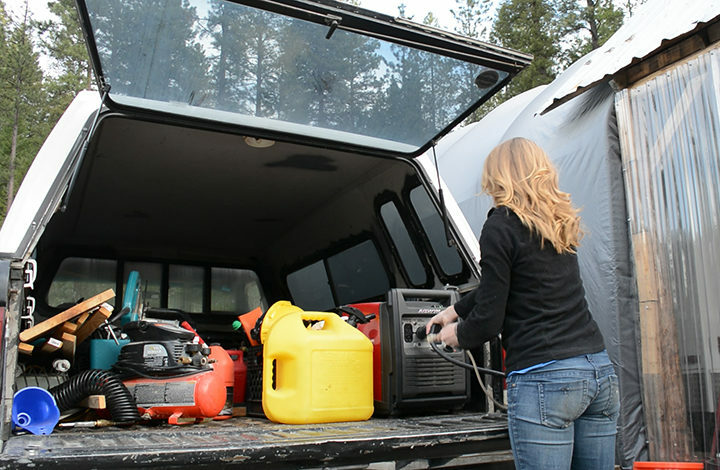 It is also the easiest to install and is recommended if your generator is portable and you take it to different places. It is the only lightweight material that can function as a shed as it can effectively shield the generator from water while it runs. Shaped like a dome or an umbrella, water will never seep into your generator. 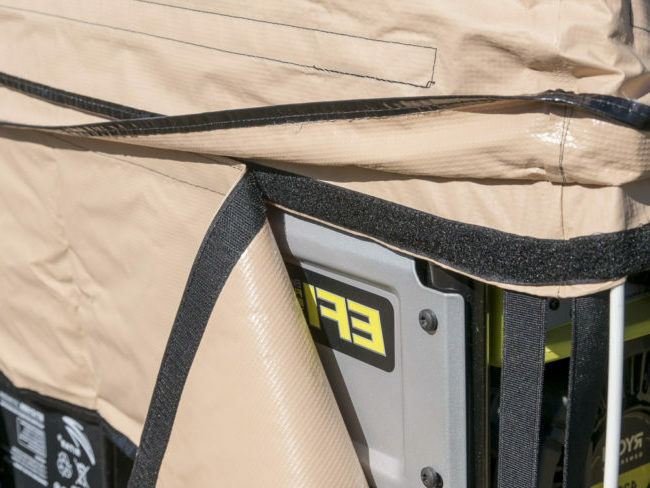 However, this tent leaves the bottom part of the generator open, so that fumes will escape freely, and at the same time cool down the generator as it works. The only downside is that this type of cover doesn’t fully protect your generator the way a shed can. This is very open to be approached by animals or rodents. If you want proper coverage for storage, you have to purchase another product that complements it, the GenSkirt. That’s money down the drain, however. 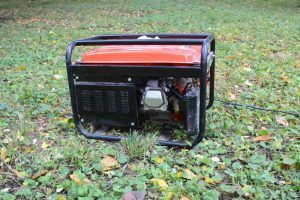 One must not mistake a simple generator cover that has similar materials such as GenTent’s canopy as able to cover a running generator. It doesn’t do the same job because these covers are not designed to shield a running generator. 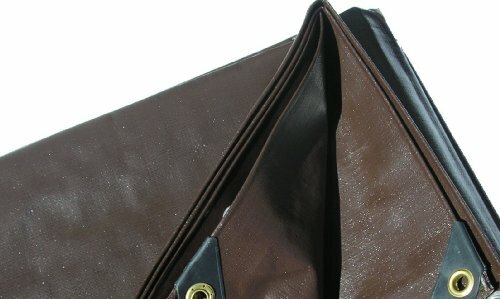 It does not have holes or openings for fumes. You can save a lot of money if you are a handyman who has a knack for building and crafting as you can create your own tent from scratch. Simply buy a tarpaulin, cut it according to the measure of your generator and use poles to assemble it into a mini-camping tent. Another type of cover to use while the generator is outside running is a shed made of plastic or resin. This may cost more but this type of cover really does a good job of protection, not only from the adverse weather, but also from all hazards – no curious animals, wandering rodents, or preying thieves. If you only plan to store the generator in this shed for a short period of time, you don’t have to modify and add so much to it. Just place a thick wooden board at the surface of the plastic shed for foundation. The wood will hold the generator into place, as vibration tends to make it move toward the edge. 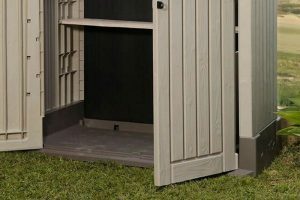 To avoid carbon monoxide build up and a constant ambient air entry, buy a plastic shed that has double opening doors in front, and a top lid opening. During good weather, all doors may be opened. When it rains, close the top lid but keep the front doors open. Just use something to roof the front of the doors so rain that falls at an angle won’t reach the generator. 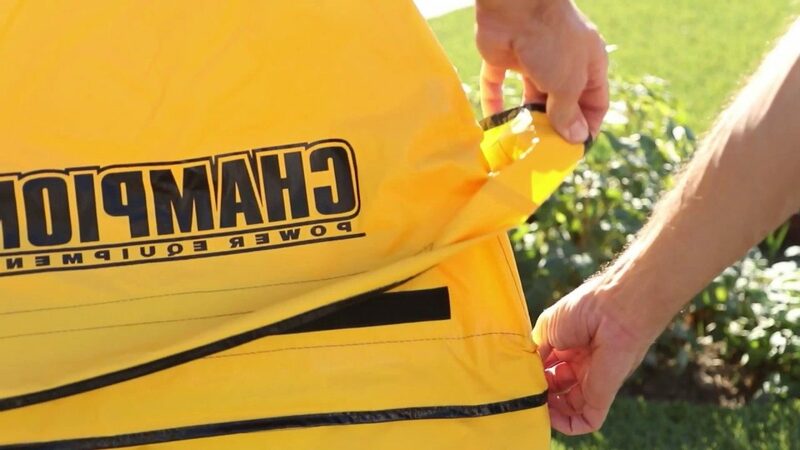 All the above-mentioned covers are recommended for prolonged exposure to the changing weathers not only because they are made weatherproof but also the materials resist corrosion. The location should be given utmost importance because a small whiff of carbon monoxide is hazardous. Therefore it should be away from household openings where the gas may seep in. The location must also be strategic that the generator set is located near the main electrical service. If your house is big and there is a provision for a rooftop, you may place the generator there, provided that no windows near or directly below it are present. Another main thing to consider is the temperature. As mentioned above, there should be openings so that ambient air may come in and cool the running generator. During hot weathers, do make it a habit to drop by to check the generator’s temperature. If the air is not enough to cool the system, you might need to lessen the output of the generator to prevent overheating. Lastly, always schedule your generator for checkup and maintenance especially if it has been idle for a long time. 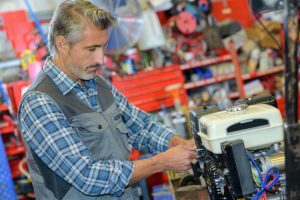 A professional will be able to tell if there are parts that should be replaced or if one component fails to run the generator, literally and figuratively, like a well-oiled machine. 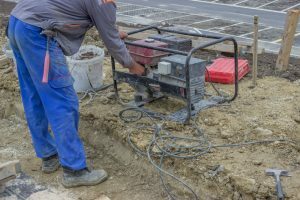 ​Generator owners must strictly learn the correct and safe way to install and use a generator as well as utilize safety covers for it. Running this machine may be difficult because it poses a lot of dangers that may be detrimental to a person’s safety. However, the benefits of a generator is unnumbered that is why many families are relying to it for power.